The Many Benefits Of Pressure Washing The Exterior Of Your Home - Pressure Cleaning Geelong 1. Enhance Curb Appeal. One of the main benefits that you are going to be able to get from investing in professional pressure washing services is the ability to fully enhance your home's curb appeal. This is something that can benefit any homeowner, but it can be especially advantageous for those that are looking to put their home on the marketplace. If you are looking for ways to enhance your home's curb appeal, pressure washing is one of the things that can really help you do so. In fact, by pressure washing, you should be able to enhance your home's curb appeal dramatically regardless of what kind of material your home's exterior is made up of. 2. Your Property's Value. Another benefit that you are going to be able to get from investing in pressure washing is the ability to increase your home's property value. This is primarily true because your home is going to have its curb appeal enhanced and it will create a much greater demand on the open market. The more prospective buyers you have, the better the chances you are going to be able to create a bidding war on your home which can significantly boost its overall value. In fact, according to Consumer Reports, replacing worn out siding alone can provide a significant 3 to 5% bump in your home's value. Because full siding replacement is cost prohibitive, you can get similar boosts by investing in power washing which can effectively restore your siding to a new condition. Thus, if you are looking to get the most out of your home, it would be wise to invest in professional pressure washing services. 3. Reduce The Need For Exterior Maintenance. Another benefit that you will be able to get from investing in pressure washing the exterior of your home is the ability to reduce the need for maintenance with the exterior of your home. Because pressure washing can be done on a seasonal basis, it is going to allow you to effectively keep the exterior of your home in excellent condition which can keep things from degrading or worsening to the point where expensive maintenance is needed. Overall, there are plenty of different benefits that you will be able to get from investing in pressure washing for your home. It is something that can provide a significant 'face-lift' for your home which can boost its curb appeal and its overall value on the open market. However, even if you are not looking to list your home on the marketplace at the moment, it can help to keep the exterior of your home healthy and looking its best. Keeping your home looking good can be difficult. Depending on what climate your home is located in, you might be dealing with various outdoor elements that can wreak havoc on the exterior of your home. Ultimately, without proper care, you risk having your home look rundown. Luckily, pressure washing can help to restore your home back to looking brand new. Below, we will be going over some of the many benefits of pressure washing the exterior of your home. 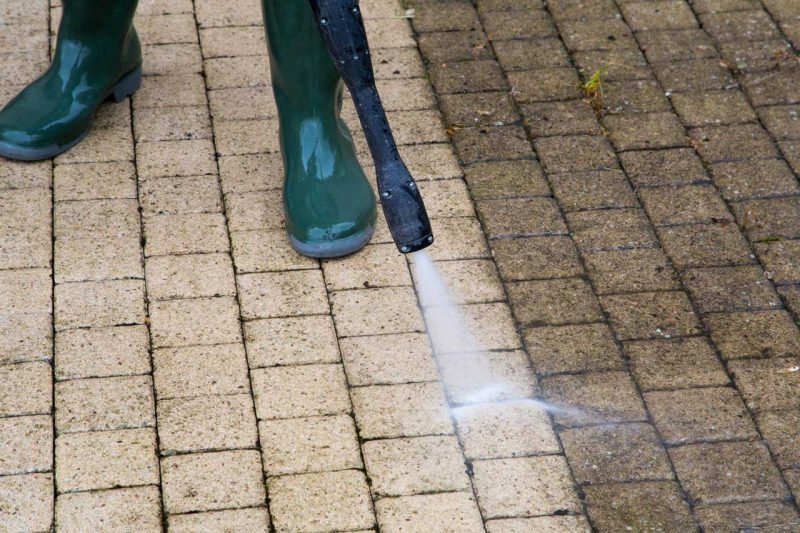 One of the main benefits that you are going to be able to get from investing in professional pressure washing services is the ability to fully enhance your home’s curb appeal. This is something that can benefit any homeowner, but it can be especially advantageous for those that are looking to put their home on the marketplace. If you are looking for ways to enhance your home’s curb appeal, pressure washing is one of the things that can really help you do so. In fact, by pressure washing, you should be able to enhance your home’s curb appeal dramatically regardless of what kind of material your home’s exterior is made up of. Another benefit that you are going to be able to get from investing in pressure washing is the ability to increase your home’s property value. This is primarily true because your home is going to have its curb appeal enhanced and it will create a much greater demand on the open market. The more prospective buyers you have, the better the chances you are going to be able to create a bidding war on your home which can significantly boost its overall value. In fact, according to Consumer Reports, replacing worn out siding alone can provide a significant 3 to 5% bump in your home’s value. Because full siding replacement is cost prohibitive, you can get similar boosts by investing in power washing which can effectively restore your siding to a new condition. Thus, if you are looking to get the most out of your home, it would be wise to invest in professional pressure washing services. 3. Reduce The Need For Exterior Maintenance. Another benefit that you will be able to get from investing in pressure washing the exterior of your home is the ability to reduce the need for maintenance with the exterior of your home. Because pressure washing can be done on a seasonal basis, it is going to allow you to effectively keep the exterior of your home in excellent condition which can keep things from degrading or worsening to the point where expensive maintenance is needed. Overall, there are plenty of different benefits that you will be able to get from investing in pressure washing for your home. It is something that can provide a significant ‘face-lift’ for your home which can boost its curb appeal and its overall value on the open market. However, even if you are not looking to list your home on the marketplace at the moment, it can help to keep the exterior of your home healthy and looking its best.